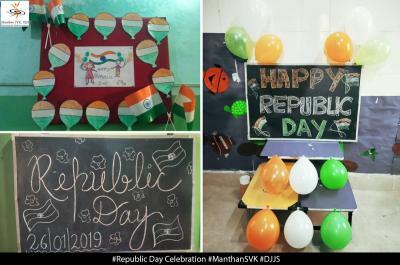 Manthan-SVK is an initiative by Divya Jyoti Jagrati Sansthan which works tirelessly for the holistic development of children who belongs to the underprivileged sections of the society. 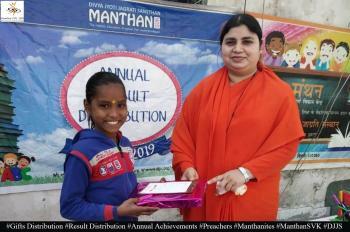 Manthan SVK not only focuses on their education but also their overall development. 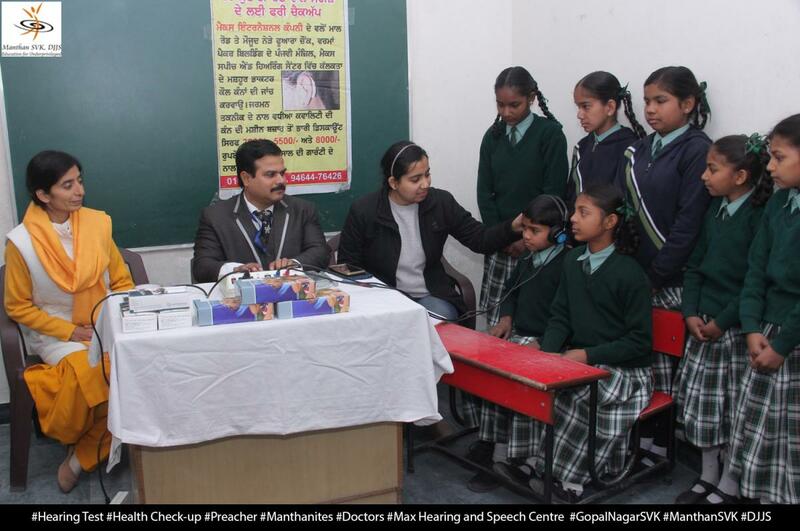 To facilitate the health concerns of the children, regular medical camps are organized for the children. 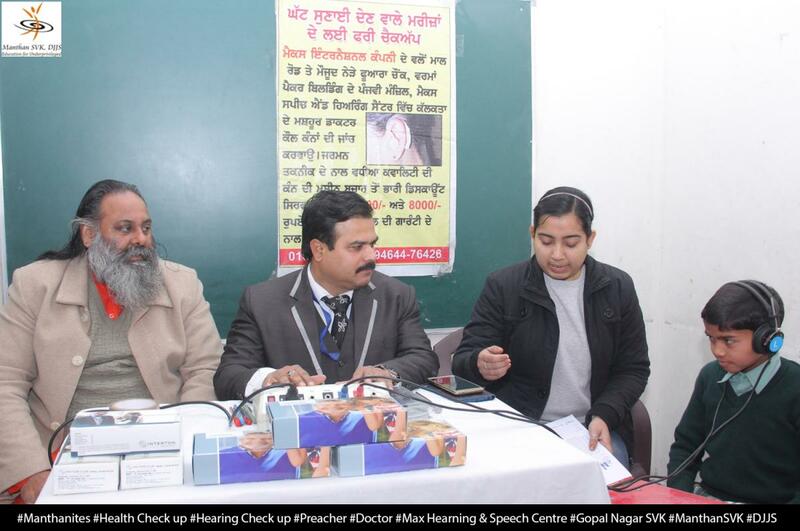 Such a hearing checkup camp was organized in Gopal Nagar, Ludhiana, Punjab by esteemed doctors of Max hearing and speech centre. 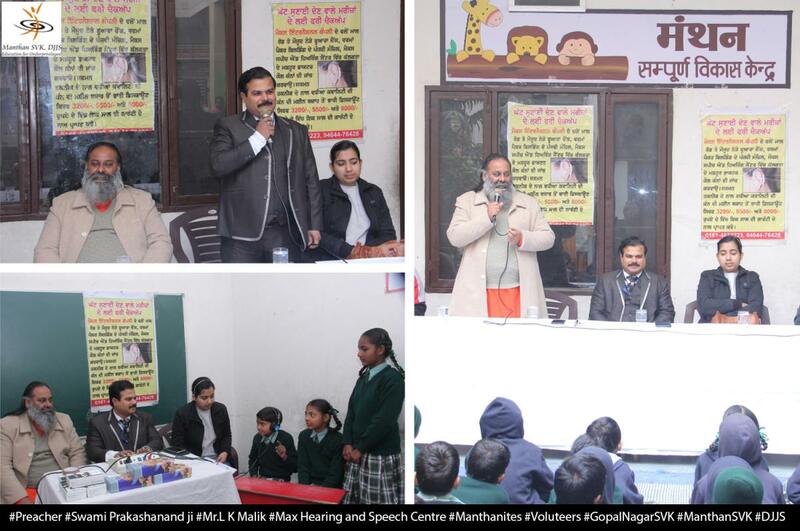 This camp was organized on 2nd February 2019 from 10 am to 1 pm. 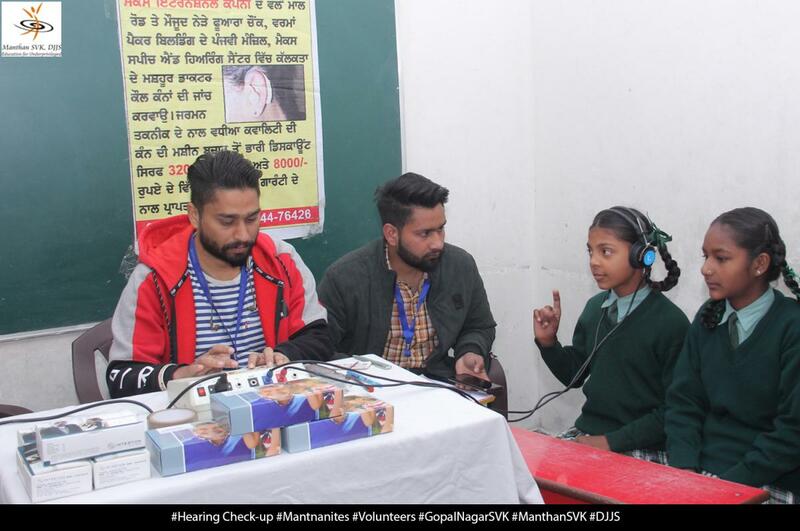 A number of esteemed doctors such as Dr. L.K Malik who is the director of Max hearing and speech centre along with Dr. Rupinder Kaur (Assistant audiologist) imparted their services at the camp. 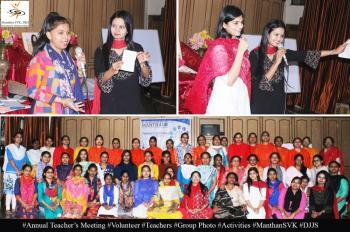 Swami Prakashanand Ji and Sadhvi Rajni Bharti Ji felicitated the whole team of doctors on behalf of Manthan SVK, DJJS. 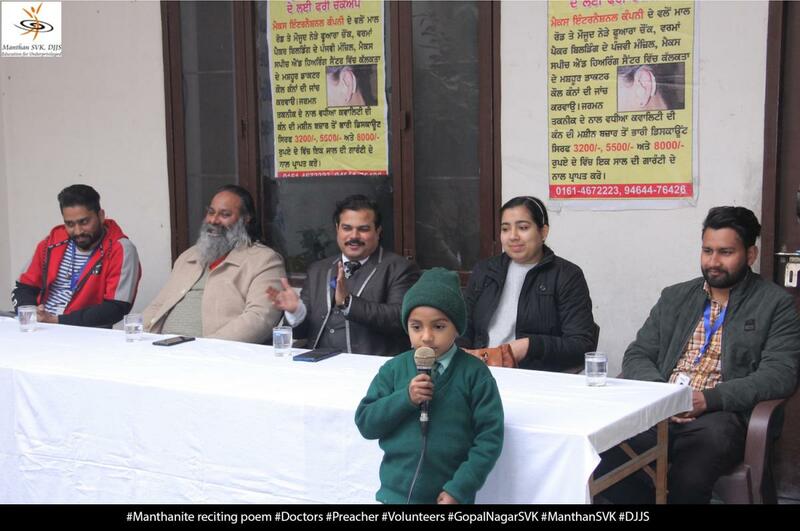 Doctor volunteers were highly impressed by the work done by Manthan SVK and appreciated the cause. 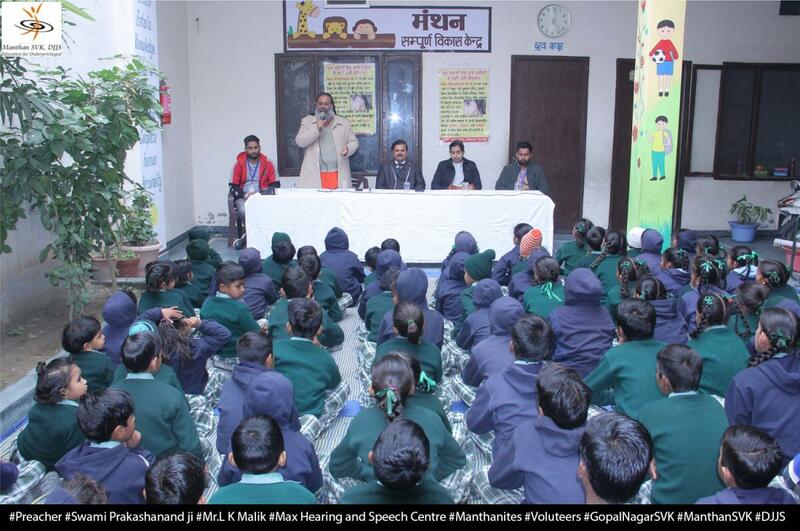 100 students were diagnosed of hearing ailments through this camp. 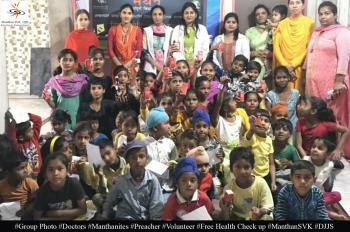 Manthan was thankful to the doctors for their generous support for the benefit of the children.